Penetrating damp is, as its name suggests, caused when water penetrates into the building from an external source. The source can be rainwater, which soaks into a house from leaky gutters, missing roof tiles or defective flashings.­ Alternatively dampness can enter a house when driving-rain is absorbed through exposed walls due to faulty pointing, dilapidated rendering, cracked or porous brickwork. In order to remedy any damp issue the first step is to identify the source(s) of moisture ingress. Blocked and overflowing gutters are a major source of damp walls during the Autumn. Gutters should always be maintained in order to ensure the constant removal of rainwater. The seasonal chore of clearing leaves and other debris from blocked gutters can be easily avoided by installing the innovative Hedgehog Gutter Guard system, a simple yet rewarding DIY project. 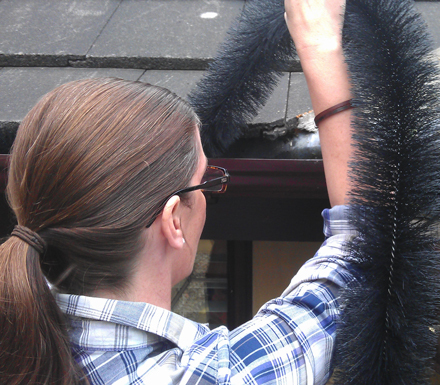 With a strong stainless steel spine supporting a densely-wound cylinder of polypropylene bristles, the Hedgehog Gutter Guard slips simply into place without the need for any tools, bending easily around corners and providing instant protection from leaves, twigs and other foreign bodies. Twistfix have a good selection of products for maintaining roofs, flashings and gutters. 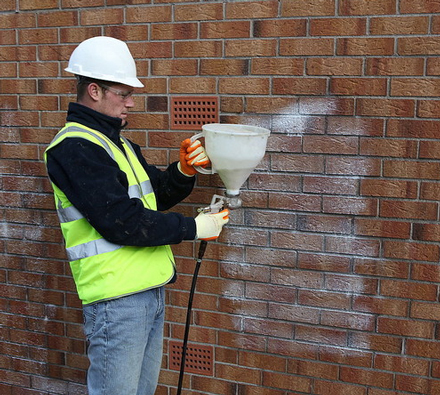 Treating brick and stone surfaces with Damp Seal; a water repellent for masonry, offers incredible protection against driving-rain induced penetrating damp. The strong, thixotropic cream is completely vapour-permeable and adheres to the surface long after application, penetrating deeply into the pores of masonry. This suppresses capillary action and dramatically lowers damp staining, frost damage and brick-spalling potential. Designed to treat stone and brick walls, the cream also improves thermal efficiency; a dry wall stays warmer than a wet wall, and its action is equivalent to that of between three and four liquid water-repellent treatments. Once the cause of penetrating damp has been resolved then structures will begin to dry and work can be undertaken to replace water-damaged timbers, plaster and decorations. Use of a waterproof tanking membrane facilitates early rein­sta­tement; during the drying out period. 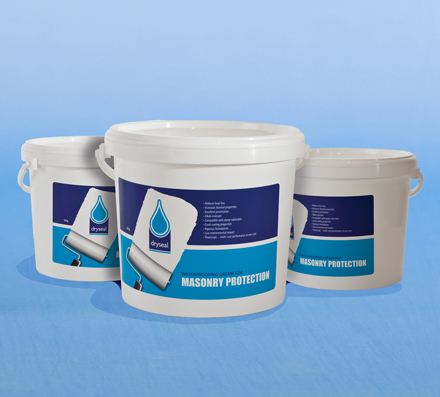 By providing an effective barrier against water ingress, our extensive range of tanking membrane stops penetrating damp in its tracks and is guaranteed to provide many years of maintenance-free service. For more information on our range of professional solutions to the problems caused by penetrating damp, please call 0845 123 6006 or email sales@twistfix.co.uk.